Reserve here | Whirlpool Sightseeing Boat｜Enjoy an adventure to see the whirlpools of the Naruto Strait in Naruto, Tokushima! Large boat "WONDER NARUTO" does not require reservations. Please come visit at will. AQUA EDDY is a small boat with a capacity of only 46 persons, so reservations are required. 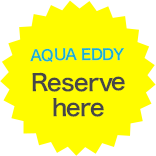 *Online reservations for "AQUA EDDY" can be made from 4 days after the date you make a reservation online. Use the below form to set up your desired boarding date for the small-sized underwater sightseeing boat "AQUA EDDY." After your reservation has been received, we will confirm the capacity and then send you an email to finalize your reservation. Online reservations for "AQUA EDDY" can be reserved from four days after the date you make a reservation online. Please confirm the boarding date and be sure to receive your ticket at the window at least 10 minutes prior to departure time. English-speaking staff not available.We accept requests via phone or e-mail only in Japanese.tes prior to departure time. Please click on your desired boarding date. *We accept reservations from four days after the date you make a reservation online. Please select your desired boarding time. Please select the number of persons you wish to reserve for.